How can I install Android CLAT? If you have Android 4.3 jellybean or later on your phone: it's already installed. Official Google Nexus images of 4.3 will need a /system/etc/clatd.conf file. CyanogenMod 10.2 and Google's 4.4 works from a fresh install. How can I test that 464xlat is operating properly? Where can I see the source code? Can I use clat/464xlat with a wifi connection? Android does not (yet) support IPv6-only wifi connections, and this software was not designed to offer CLAT services via a wifi connection. It can be made to work by giving CLAT an IP to use in the config file, along with answering ND for that IP on the handset (set the proxy_ndp sysctl and use ip -6 neighbor add proxy ...). Please note that running this CLAT implementation requires IPv6 forwarding turned on, so if you're relying on RA autoconfiguration (SLAAC) you'll need to configure a static IPv6 global address on the wifi interface. Also note that multiple handsets running 464xlat on the same wifi network will result in IPv6 address conflicts if you don't make sure each one has a unique hostid for its clat function. Can I use the same IPv6 IP for my handset's global traffic and CLAT traffic? Not for this implementation. 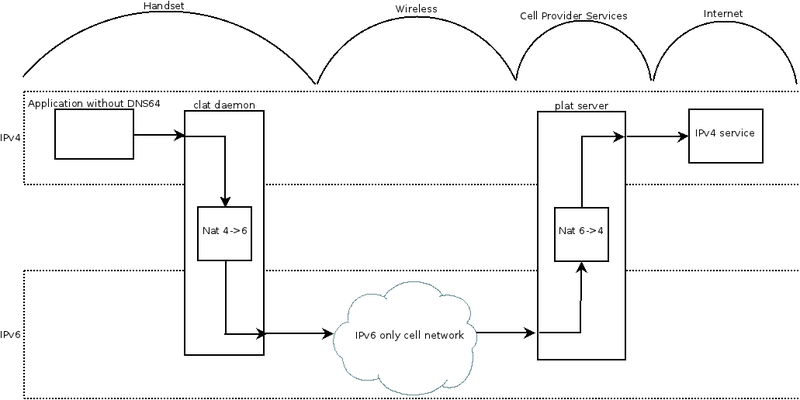 It relies on the routing table of the handset to separate traffic to the handset and traffic to the CLAT process. 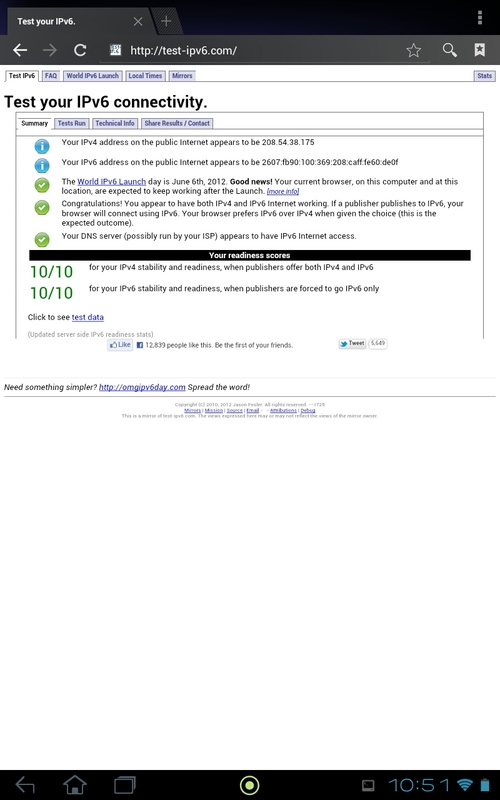 You will need one global IPv6 address for the handset and one for the CLAT process. How can I be notified of changes to this project? How does ipv6 tethering work when there's only one /64 prefix delegated to the handset? This is documented in RFC7278: Sharing /64 3GPP Mobile Interface Subnet to a LAN. Note that this functionality is not in base Android as of 5.1 Lollipop, but some vendors have implementations.